How to Transfer iTunes Library to New Computer or Mac? Home> Resource> iOS Transfer> How to Transfer iTunes Library to New Computer or Mac? Purchase a new laptop or MacBook Pro, and want to transfer the iTunes library on the old computer to the new one? It is a headache for almost all users to transfer iTunes to new computer because Apple only let's users get what they've bought from iTunes store to the new computer or Mac. But referring to the photos, videos, books or other media files from other sources, you may can't share them on your new computer by using Home Sharing or iTunes Match function on your old computer. Since Apple doesn't allows users to transfer files from other sources to new computer, so if you have lots of files like that, you may lose them forever. Feel pity, right? It is no doubt that the files you sync into the iTunes library are all your beloved and some may have special meanings to you, right? So when you change a new desktop, it could be a great pity or even big loss for you if the whole iTunes library can't with you. Fortunately, some existing ways can fix the problem. 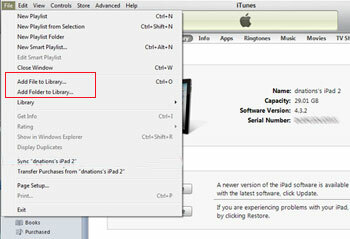 And in this page, we'll show you the simplest way to transfer iTunes to new computer as easy as 1-2-3. 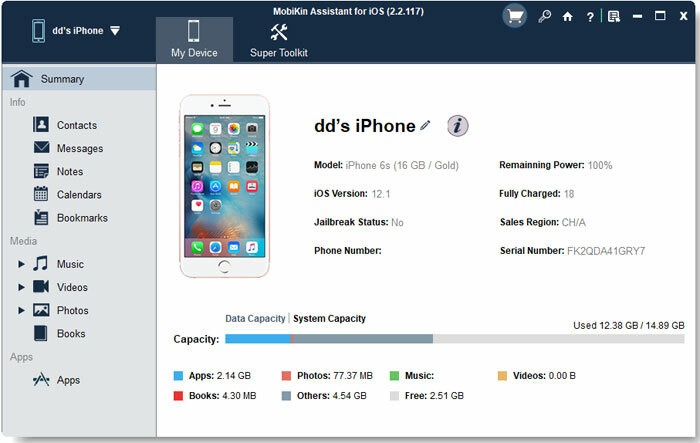 The premise here is to find a professional yet reliable iOS Transfer program as your assistant, that's why we could like to kindly recommend MobiKin Assistant for iOS or MobiKin Assistant for iOS (Mac Version) here. With it, you can quickly export up to 14 types of files to computer and then sync them to your new computer's iTunes as you like. Below is the free trial version of the powerful program. Both Windows and Mac version are all available here, please get the right version on your computer according to your own computer's operating system. Tips: iTunes is required to be installed here to manage files on your iDevices. How to Transfer iTunes Library to Another Computer or New Computer? Connect your iPad, iPhone or iPod to the new computer via USB cable, then launch the program on your new PC. This tool will detect your device automatically, and display files on it in the form of folder. Click the categories in the left panel and then you can see all detailed files under the folder. Tick the files like music, movies, TV shows, books, photos, etc. in the program and then click "Export" button to save them on your NEW computer. And find the output file in the desktop computer for the further using. Open iTunes on the computer, then click "File" option in the top menu. A drop-down list will appear, and you can select "Add File to Library..." or "Add Folder to Library..." to sync your exported iOS files into the iTunes library quickly. Obviously, this method will help you load media files into the new computer. But if you wish to transfer purchases to the new computer, you can click here to learn more. 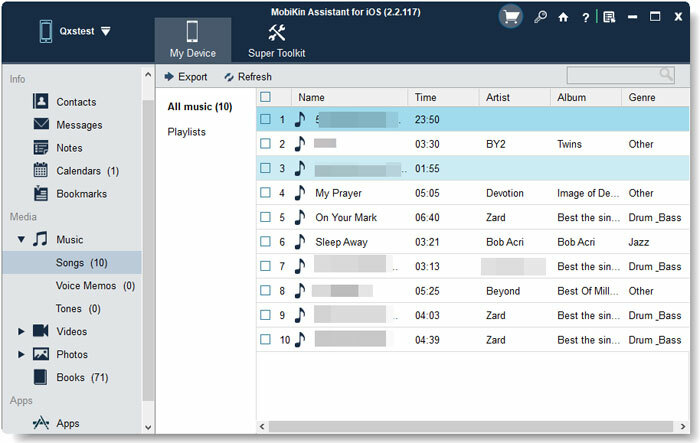 How to Transfer Music from iPod to iTunes Library?